How can I contact TrailHeads? Prefer to hear a friendly voice? Call us at (860) 592-0088 Monday – Friday 8:30 am -5:30 pm, EST. Addicted to social media? We also love to chat on our Facebook page! How do I clean my TrailHeads purchase? Where are TrailHeads products manufactured? All of our styles are designed and tested in Kent, CT. Back in 2002, we started out by manufacturing small production runs exclusively in the USA. Over the years, we’ve expanded our line and we now source styles in China and Colombia, in addition to Massachusetts. I have a product suggestion or concern, whom should I contact? We are always looking for ways to improve our products and raise the bar in the industry to better meet the needs of our fellow adventurers! Please contact TrailHeads Customer Service at (860) 592-0088 or support@trailheads.com if you have any comments, suggestions, or concerns. Will I receive notification or a tracking number when my order ships? Yes, you will receive an email when your package is scanned by our shipping provider. If you have questions, please call our customer service team at (860) 592-0088. Once your order has shipped, your account will be updated and you will receive an email which includes shipment and tracking information. You can then either follow the link provided in your email or enter the tracking number directly in the carrier’s website (USPS) to get an updated status report of your shipment. If you are unable to find your tracking information, our Customer Service department is happy to help. You can reach our service team at support@trailheads.com or (860) 592-0088. Tracking is available 24-hours after your order has shipped. How long after purchase can I return/exchange an item? Trail Tested Guarantee: your complete satisfaction is our goal. If you’re not happy with your purchase, let us know and we’ll provide a replacement or refund – no fine print, no strings, no time limits, no shipping charges. Nothing but our commitment to do what it takes to satisfy our customers. What shipping address should I use to return my items? 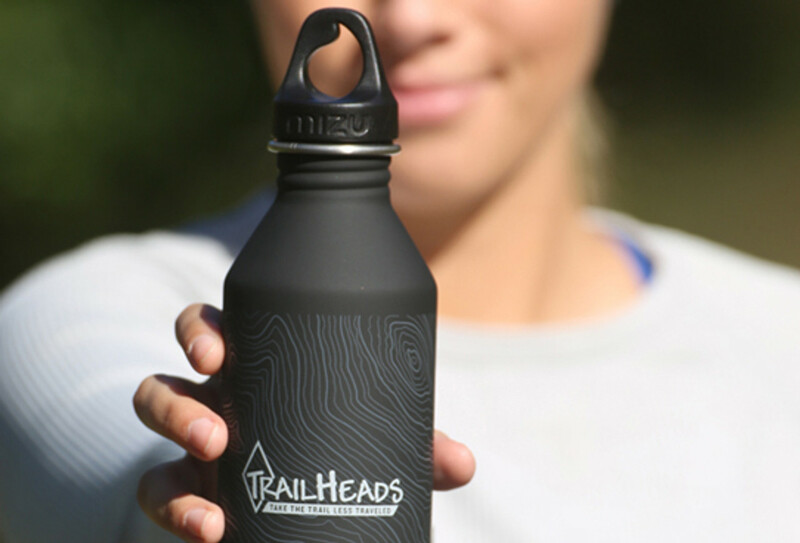 What products can we purchase from the TrailHeads line? We are happy to extend our group rate discounts to various organizations, businesses, clubs and outdoor industry affiliated groups. Please contact us directly at info@trailheads.com to find out if you qualify for our special group rate pricing. We look forward to the opportunity to create a look that’s uniquely yours. We can customize a variety of our styles with embroidery or heat transfers. To get started, please fill out the form on our custom page and submit artwork for your custom products (vector art files are preferred) to design@trailheads.com or give us a call at (860) 592-0088.